DENVER — The 38-year-old journeyman catcher looked to his left and spotted his Milwaukee Brewers teammates spilling out of the dugout. Erik Kratz then looked straight ahead and saw his reliever standing alone. That was more than enough against a Colorado offense that was shut out twice in the series and hit .146 against Milwaukee's stingy pitching. 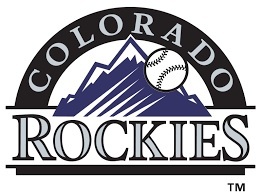 Colorado's three All-Stars — Story, Arenado and Charlie Blackmon — finished the series with a combined five hits.